The Fiji Ginger Association is a recently formed group brought together by the Fiji Crop & Livestock Council in order to represent the ginger farmers around the country. To secure the complete organization of the Association. To promote, protect and maintain just and proper treatment of members in all aspects of the value chain, the producers, processing, Biosecurity and exporters. To represent the interest of the members to the Fiji Government. To negotiate all matters relating to the promotion and development of the Association members. Ginger has been well known as one of the priority products in Fiji due to its potential for food and income benefit and providing work to the local farmers. Both, immature and mature ginger is currently worth $12 million in the industry although is likely to increase in the future. In 2013 Fiji produced 10,529 metric tones of both immature and mature ginger, which was an increase of 3,477 tones compared to 7,052 metric tones produced in 2012. Being a seasonal crop, land preparation begins in July/August followed by planting fróm September – November before the onset of the wet season. Matured ginger takes 9-11 months to mature and is harvested fróm July-December. Planting of immature ginger is usually completed by the end of September and the crop is harvested 5 months later in February. Ginger is still regarded by farmers in the Central Division to be their main crop with two separate harvest possibilities (young and mature). 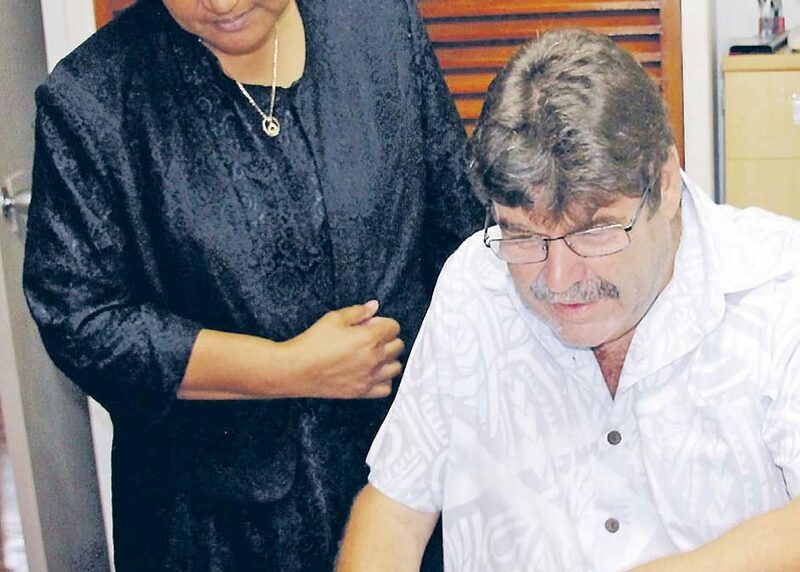 A total of 717 registered ginger farmers are currently registered in Fiji, 611 of whom are in the Central Division including areas of Navua, Namosi, Naitasiri, Rewa and Tailevu. 106 farmers are in Ra in the Western Division. 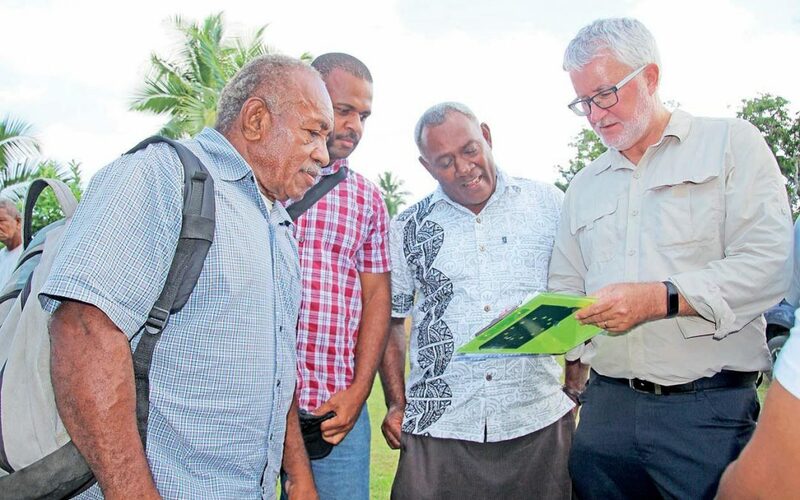 A few farmers are in Kadavu, Lomaiviti and Vanua Levu. These farmers produce ginger for the local and exports markets. There are only two varieties grown in Fiji. Commonly known as white ginger and pink ginger. The widely grown variety of ginger is the pink ginger. The white ginger is generally bigger in size but harder to grow therefore not widely grown. Thorough selections of good seedling materials-making sure only the best seeds are planted. Treating of seeds with chemicals to kill bacteria. Hilling: to allow ginger to grow bigger in size. Ginger grows upward, hilling encourages upward growth. Harvesting: Ginger can be harvested at around 3 to 10 months after planting. Prices are higher when the ginger is harvested at around 3 months old but the yield is low. Not to overplant – better to know your capabilities and plant only the amount you can manage. Ginger is a very labor-intensive crop to grow. Lack of attention can lead to drastic outcomes and may even suffer losses. Weed control – it is very important to always keep weeds out of the way of the ginger growth. Understanding the growth stages – knowing when to apply what fertilizers at what time is important so that you can achieve the highest yield at the shortest time. In the 2016 budget, the Government allocated $800,000 for the Ginger Development Program, to farmers who had the proper resources, tools expertise and infrastructure. Due to the demand in overseas markets for Ginger, and increase of $300,000 had been endorsed to assist farmers with land preparations and the production of seedlings and agro inputs in the Ginger Development Programme. HE may be new to the ginger industry, but Ravin Vikash, 34, is sure making his presence felt and he plans to continue with this trend in what is becoming a lucrative business. 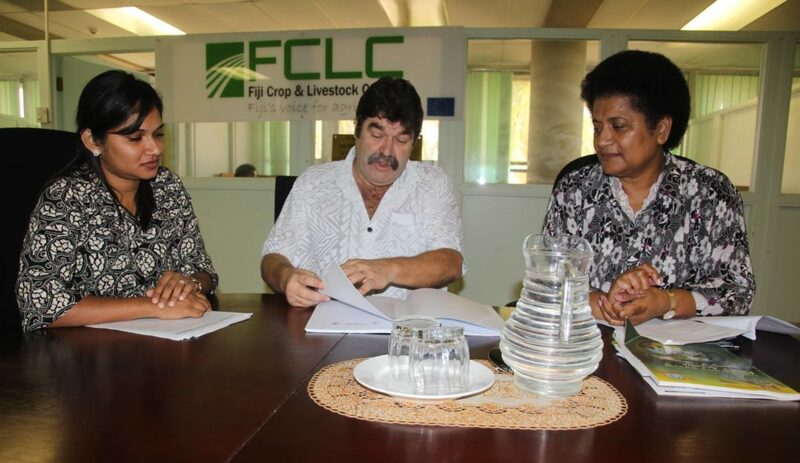 “I only started farming on a commercial scale in 2011 when I took over my father’s 10-acre lease at Lomaivuna. The lease is fróm the landowners of Navolau Village. It was a really difficult start for me having to secure the lease under my name as this is a long process. However, I grew up in this area and so I know the rewards of hard work as a farmer,” Ravin said. Ravin was educated at Lomaivuna Secondary School up to sixth form before pursuing a certificate in automotive engineering at the Fiji Institute of Technology in Samabula, now known as the Fiji National University’s Samabula campus. He decided to return to his roots (farm) after his father got sick. He now owns Naitasiri Hire located in Lomaivuna Sector 5. The business is registered as a hiring company, because in addition to farming, he runs a business with an excavator, a nine-tonne truck, two carriers, a twin cab and a pick-up truck as part of his fleet of machines. Ginger is his prime produce with an 85 per cent germination rate. His farm is semi-mechanised especially during the land preparation stage as it is the largest cost in ginger farming. He produces his own planting material each season. “We used to plant dalo and cassava as our main crops. However, since ginger prices have gone up and the markets, overseas and locally, are opening up so I decided to devote my farm to ginger. Ravin has a contract to supply ginger to Frespac in Lami which means he has a sure market for his produce. In 2014, Ravin was named the Best Ginger Farmer of the Year by the Ministry of Agriculture during the Central Agriculture Show on September 12 in Nausori. This was after he set the record for highest tonnage of ginger in Lomaivuna with 38 tonnes. In November, he was also awarded the FDB Small and Medium Enterprises Award for agriculture in the mixed farming category. He also won $2500 for his efforts. Besides the 10-acre farm, Ravin has secured another 10-acre lease at Lomaivuna. “I’m only using 1/3 of the land, becauase with ginger we need to rotate after each harvest and leave the land to fallow. This allows the land to recover its nutrients and get rid of unwanted fungus before we can replant it. If we keep on replanting after harvest than the ginger will not yield its full potential. Ravin is planning to utilise his new lease to plant ginger and to use the proceeds fróm this 10 acres to invest in about 10 to 20 chicken sheds fróm Crest Chicken as he is looking to poultry to complement his ginger earning. This, he says, is also going to cut the cost of manure as the chickens can provide this. All intending new members have to apply in writing to the General Secretary and the Executive Council will make final decision. The membership is open to any person who plants Ginger. The entrance fee for members of the Association shall be $10.00.